At present, there is no way to reverse the process underlying osteoarthritis (OA). However, there are effective techniques to manage to manage OA with lifestyle changes, physical and other treatments, drugs, and surgery. Board certified orthopedic surgeons Dr. Steven C. Thomas and Dr. Gregory T. Bigler, provide treatments for the knee, shoulder and other joints to patients in Las Vegas, Nevada, and surrounding locations. Acetaminophen (Tylenol, others) has been shown to effectively manage OA symptoms in patients with mild to moderate pain. It is important to remember that taking more than the recommended acetaminophen dosage can lead to liver damage. OTC NSAIDs, such as ibuprofen (Motrin IB, Advil, others) and naproxen sodium (Aleve, others), taken at the recommended doses usually effectively relieve OA pain. Stronger NSAIDs are available by prescription and may slightly reduce the swelling along with offering pain relief. NSAIDs can lead to an upset stomach, cardiovascular issues, bleeding problems, and kidney and liver damage. Topical NSAIDs may have fewer side-effects and may offer effective pain relief. This pain med is normally prescribed as an antidepressant. It is also approved for the treatment of chronic pain, including OA pain. Injecting corticosteroid drugs into the affected joint may offer pain relief to the patient. In this procedure, the doctor will numb the area around the joint and then place a needle into the space within the joint and inject the drug. Cortisone injections are usually restricted to three or four injections annually since this drug worsens joint deterioration over time. HA injections may also provide pain relief by creating some cushioning in the knee. But according to some research studies, these injections are no more effective in relieving pain than a placebo. HA is similar to a substance normally found in the joint fluid. If OA has damaged one side of the knee more than the other, the patient may benefit from an osteotomy. Knee osteotomy involves the surgeon cutting across the bone either above or below the knee. After this, they will remove or add a wedge of bone. This allows the body weight to move away from the compromised portion of the knee. Joint replacement surgery, or arthroplasty, involves the surgeon removing damaged joint surfaces and replacing them with plastic and metal parts. The surgical risks of this procedure include blood clots and infections. In addition, artificial joints can wear out or dislodge and may require replacement over time. Certain treatments and lifestyle changes are crucial to the management of pain and disability due to osteoarthritis. However, the patient’s outlook on life is also a major element in OA management. A person’s ability to cope despite the pain and disability due to OA often determines how the condition affects their daily life. 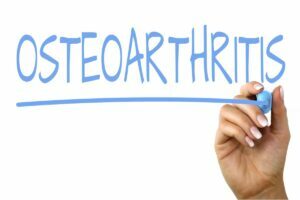 Patients who feel frustrated should consult their doctors as they may have ideas on how to cope with osteoarthritis or may refer them to someone who can help. Board certified orthopedic surgeons Dr. Steven C. Thomas and Dr. Gregory T. Bigler, provide treatments for the knee, shoulder and other joints to patients in Las Vegas, Nevada, and surrounding communities. If you would like to schedule an appointment or learn more about the Knee and Shoulder Institute procedures & treatments performed by Las Vegas, Nevada board-certified surgeons Steven C. Thomas, MD and Gregory T. Bigler, MD. Contact the office today click here.